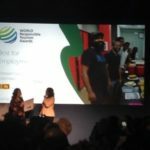 Year after year I attended World Travel Market London in November 4 times… this time I had to do mainly business meetings, while I had to reduce the seminar part. 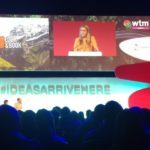 I attended also post WTM events such as Travel Massive & Fringe Event Responsible Tourism. 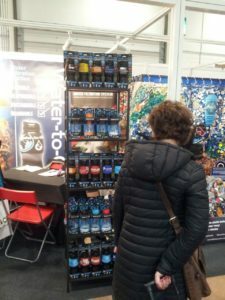 Here you are some highlights from the show and industry. Catching up with Solentiname Tours, Nicaragua responsible tourism. I discovered last year the hard work some of the tourism operators & public sector are doing in Nicaragua, I am sorry to know Nicaraguan’s operators are suffering from the prolonged period of political unrest and street violence in many areas since mid-April 2018. Also, there has been an increase in seismic activity in recent years. Solentiname president, Immanuel Zerger, affirms that sustainable tourism helped them to survive this year, even though instability in politics and weather conditions are increasing the difficulties for every operator. 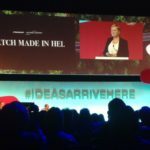 Last year, for the first time, I heard about She Trades..and now it looks very interesting! I met with Jane and Rose, 2 colleagues from Kenia, two operators interested to add Lake Como to their products. 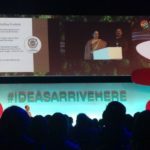 As a contribution to the Sustainable Development Goals, the International Trade Centre has launched the SheTrades initiative to create an ecosystem of integrated solutions that empower women economically through trade. 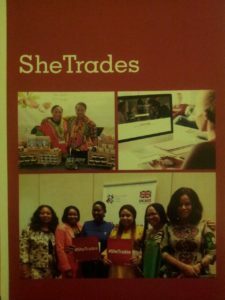 Through country-based activities, SheTrades enables women entrepreneurs to improve the quality of their products and services. The International Trade Centre (ITC), is a joint agency of the World Trade Organization (WTO) and the United Nations specializing in trade development. I am joining the website, I’ll see how it goes! Water-to-Go is a portable water filtration system that eliminates well in excess of 99.9% of microbiological contaminants including viruses, bacteria, chemicals, and heavy metals from any non-salt water source in the world giving you access to safe, clean drinking water anytime, anywhere. It could become your new favorite adventure companion! 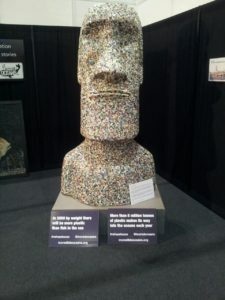 I just stumbled across the booth at WTM that attracted me with collected plastics sculptures, like the one pictured here. 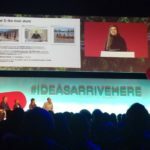 Water to go was promoted at wtm2018 as a solution to solve the plastic issue, unfortunately, the beautiful sculptures are not enough, they are just symbolic to show how much plastic trash there is around the world, in a city or town told me Trudi Pearce, colleague consultant working with Dave Shanks and co-founder Cheryl Farrell. The only possible solution is to produce less and more quality plastic. On Wednesday (3rd day of WTM) I had a meeting with Finn Thomsen International director at Green Key. 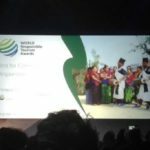 I already knew about Green Key, but I didn’t know my cousin was working with FEE Foundation For Environmental Education, at the Global Forest Found in the same office in Denmark! Very kindly Finn found some time to chat with me during WTM and explained to me a bit about Green Key and how it works! Tourism activities have a major impact on the environment. Green Key is an international eco-label for hotels and other tourism sites present in 56 countries with around 2,600 establishments awarded. Green Key was created to educate and raise awareness among owners and managers of tourism and leisure establishments of the possibility for and necessity of running responsible businesses. The aviation industry, I stopped at this speech at the Middle East & Africa Inspiration Zone after a meeting with Jane and Rose at SheTrades booth. The speech was titled “Challenges ahead for the airline industry”. I was hoping to hear about sustainable aviation, BUT I was late and maybe I lost that part, or there was not a mention about it. Anyway, I reached out John Strickland, the consultant speaking during WTM. I found his twitter account and I asked him data about sustainable aviation, he recommended me to visit sustainableaviation.co.uk, the website is going to be my first place where to start some researches about the topic. Aviation is, in my opinion, the first topic, sector, issue the international tourism industry should address. It is not possible asking for not to travel by plane, nowadays, to people. It doesn’t have any sense! I wouldn’t do it, for example, because normal people having the possibility to move by airplane is one of the 19th century most important achievements, been able to go from London to everywhere gives enormous benefits in connecting people, cultures, trades and more. 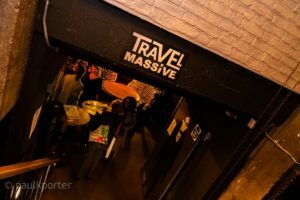 We have to improve how we develop the travel industry (as travelers, host community, entrepreneurs) how we use the technology and scientific information we have to improve our life and life on the planet, in the long term. I heard recently, a campaign against traveling by airplane, organized in Sweden. I don’t agree with it because if “we” sustainable tourism advocates want the sustainable approach to be implemented in the mainstream tourism industry we CANNOT ask people not to travel by airplane, otherwise responsible and sustainable tourism will always stay a niche’s name. Instead, what we can do is to work with airlines company to transform and improve the aviation industry. Keep following me and S.Tou.W., I’ll share more about sustainable aviation in the next month. Best for #Wildlife award goes to World Animal Protection. Best for #Employment award goes to Intrepid Travel Colombo. Best for #ManagingSuccess in tourism (overtourism) award goes to the destination of Barcelona. 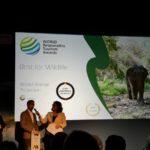 Best for Communicating #ResponsibleTourism the award goes to Intrepid Travel for post-earthquake Nepal campaign. 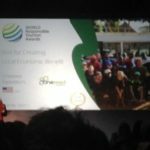 Best for Creating #Local Economic Benefit award goes to OneSeed Expeditions, Transfrontier Parks & Coconut Lagoon, Kerala, India. 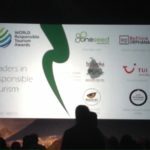 Barcelona wins the overall award for leaders in #ResponsibleTourism, for recognizing #overtourism early & pioneering approaches for management!